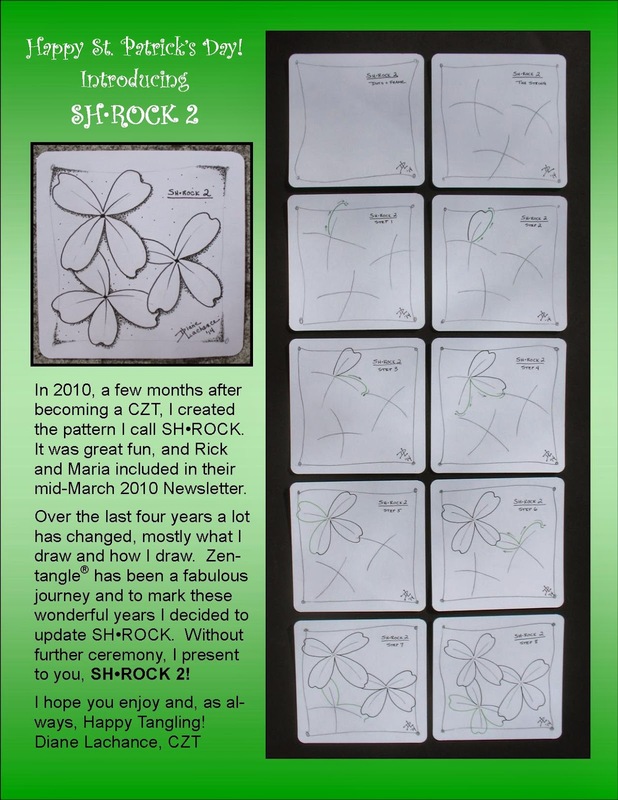 Zentangle - Time To Tangle: SH•ROCK 2! Happy St. Patrick's Day! SH•ROCK 2! Happy St. Patrick's Day! Lovely shamrocks! Very seasonal! Thanks for your visit to my blog, and your nice comment. 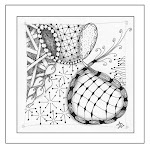 I think teabag art and zentangle combine very well! I am having such fun with this, and had no idea till I started just how much potential for art can be found in the humble teabag! I like your pattern, Nice! Oh Fun! Another pattern to add to my work! Thank You! Thanks for your update of Sh-Rock. It's a great pattern! I love your sh-rock tangle and I am having so much fun with it! Thanks everyone! It is good to hear that people are enjoying SH•ROCK 2. Thank you for sharing your SH*ROCK 2. It's a great tangle. Thanks for another really encouraging and lovely comment on my blog, Diane. I am very pleased with the diamond-pattern teabag stains, and am still trying to decide what to do with that sheet to show it to its best advantage... I love the randomness of the teabag stains - I leave the bag on the paper until it's just damp to the touch, and as I lift it off, have no idea what sort of mark it will have left! With the diamond-pattern one, I like how they are overlapping slightly, and I'd like to make something of that... I need to mull it over a bit more, I think.